One bright side to the results so far is that they provide a demand for better imaging techniques. My neurologist told me one of the biggest problems with MS is it's just very hard to see what's going on in someone's brain while they are still alive. But now, with veins also needing better imaging, we can practice and develop better imaging methods on lower risk areas than the brain. Then those techniques might also work on imaging the brain better, which will allow researchers to really see what's going on. That would be huge. First of all, nice to see you posting again and such a thorough post too. The part that resonated with me most was the need for the people who will only listen to pro-CCSVI theory and the CCSVI nay-sayers to chill and open their minds. The truth is always somewhere in the middle. Thanks for giving us so much to think about. Well you may think I am just one of those CCSVI fanatics, but the following is reasoned and experience-based. I am not a doctor. Just a sentient human. The only reason anyone needs a Doppler Ultrasound, if they already have a clear diagnosis of MS, is to reassure medical professionals that their patients are not malingering. If you have 'MS', you need venoplasty. The whole Doppler thing has been used for too long as a red herring. It is a screening tool only, and will in the end find its only use, in detecting restenosis (if NOT in the azygous vein) as a follow-up measure. Neurologists are just mainly sissies who don't like to think about pain, but the procedure is almost painless. Balloons can be used as an exploratory tool. It is a day procedure. And venoplasties may not be as common as angioplasties, but they are very very common as well. I was home the next day from Albany. I have had two Doppler ultrasounds, both after my venoplasty. I had two before that, one very informal just to see what my stenosis looked like. The other was done using the Valsalva maneuver, so it's a good thing it was cheap, as it came back as 'normal'. I was only 'normal' if you used Valsalva. On the venogram, I was far from it. If you want, I can show you the pictures. Do *not* accept a verdict that you should not have venoplasty based on a Doppler Ultrasound. 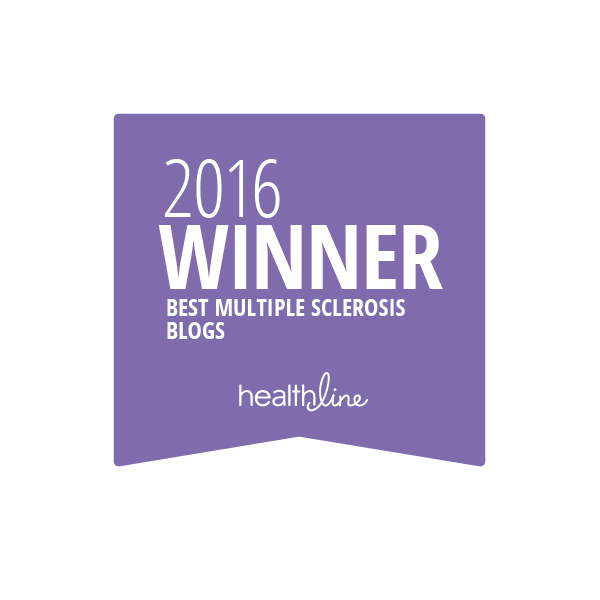 If you have MS, you need it. Stents are still a lot more risky, especially just upstream of the heart. Thromboses happen, and when they do it is a short journey to heart and lungs and possible death. But that does not stop doctors from operating on jugulars every day, as they are an easy way to do things like plasmapheresis, and some dialysis, chemotherapy, etc. Clots happen and these veins are carefully monitored, and blood thinners are used. I had 3 stents implanted in my arteries, and blood thinners were de rigueur there too, for longer than commonly used for ballooning. Clots still happen with ballooning, and follow up is vital. Mine is coming up in January but I have already had a 1-month exam. Stay local if you have confidence, and book it as soon as you return. Find out beforehand, so you do not end up without. The worst danger to you should be from prolonged use of x-rays. What to do until the neurologist comes around... If you are worried, wait. Wait until your follow-up exam, unless you are in obvious pain. The healing will continue for a long time, maybe years. Give your body a chance. Anonymous-thanks for your contribution, and I'm happy that you had positive results from your procedure. 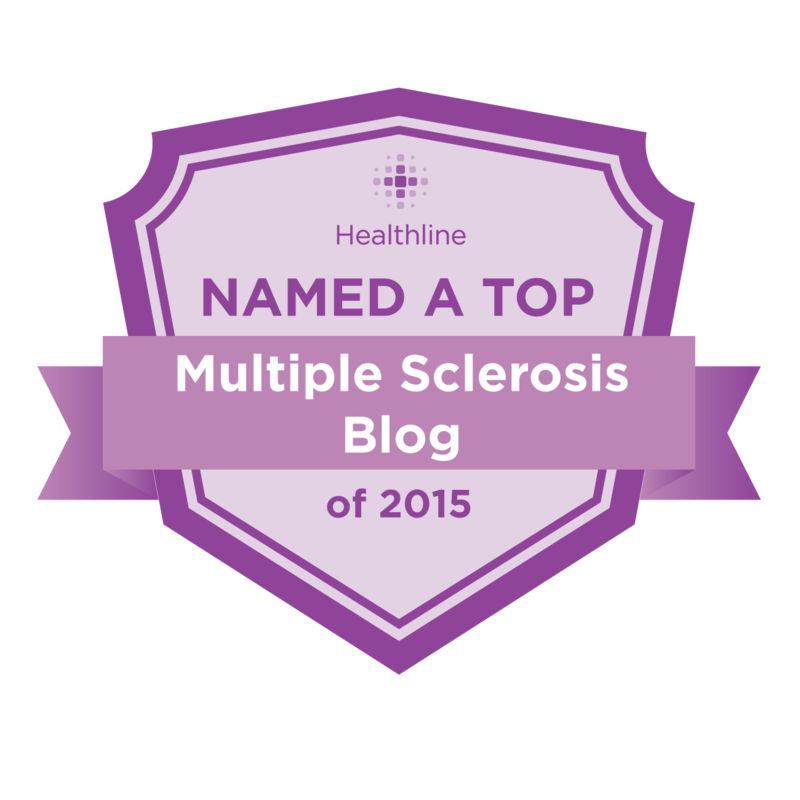 The most recent research, though, indicates that not all MS patients have CCSVI. Therefore, the facts would indicate that the statement "if you have MS, you need venoplasty" is incorrect. It may eventually be proven true, but at the present time that statement is not supported by the research. And again thank you for your well balanced written blog, Marc. Personally I think there is a hidden factor (or two, three?) apart from CCSVI that can cause MS. A fatal combination of these factors can cause MS. To make the puzzle more complex: may be several combinations can lead to the symptoms of MS.
Another posibility might be that at the moment MS is some container diagnosis for all kind of different diseases. CSSVI can be just one of those diseases. Anyway, thank again, Marc. I am very sorry to read that your body is not cooperation. Fortunately you have a mind that is sharper than a Swiss armyknife. What an amazing service you provide to our community. Thank you. Excellent post Marc, no thoothpicks required. Wow, Marc. A lengthy post indeed. Making up for lost time, apparently. I am so glad you are doing better. Just judging by how my MS has behaved over the past 30 years, I don't believe my answer lies with CCSVI. Oh well. Get your veins cleared and get out of your wheelchair - you are confused. As always Marc a thoughtful and inspiring piece. I have to be honest though, and make it known that I have gone to Costa Rica and was treated. Both jugulars had issues with reflux in the right one. May Thurner's syndrome was also found as with the jugulars, venoplasty was performed. I'm constantly asked how I'm doing and have I seen any improvements which I honestly answer that it's hard for me to say. I live and breath in this body and subtle improvements that slowly add up over time I sometimes can't see and I tell people that they are they best judge of my progress. I do not regret doing this but I have come to the realization that I have a large amount of work to do to help my body get things back! It took 10 years of PPMS to get me where I am and 6 weeks is not enough time to reverse that. It is a hard decision to make but if you do make it go forward with your eyes wide open. While the Buffalo study showed that up to 25% of healthy controls met the criteria for a CCSVI diagnosis, this result does not necessarily mean that 25% of the population has CCSVI. It was later revealed by Dr. Haacke and Dr. Hubbard at a recent CCSVI conference that a number of those healthy controls were related to MS patients participating in the study. If CCSVI is proven to be congenital, it may also be hereditary. After Dr. Hubbard’s son was diagnosed with MS and CCSVI, he had both his wife and daughter tested, both of whom are healthy but suffer from fatigue. Both showed signs of stenosis in the same areas as his son, just not to the same degree. Hopefully the research that is in process now will help us understand a possible correlation better. With respect to those who see limited or no immediate benefit from the procedure, it appears that some are experiencing improvements over time. I just spoke to a friend of mine who had the procedure in July. In the past several weeks, he has started to dream again, something that he claims he hasn’t done for 10 years. The doctors in Bulgaria are telling patients to expect improvement for many months after the procedure (although it’s not clear where they have that experience from). So it may be important for people to have the long term perspective, even if there is no immediate benefit. Thanks again. You are a tremendous resource and I don’t know where we’d be without you! Love your take on the CCSVI debate. Refreshing and describes how I feel. Distributing it to all my friends, to get a better understanding of where I am coming from. Excellent post. I appreciate all the info you have put in one place so I didn't have to go searching all over the net for it. Thanks! Well thought and organized post Marc. It's essential to make an objective opinion available given the current environment so keep up the good work. Despite a few unhappy comments, you're making accurate information available to the people who need it. Marc, thought you might find it interesting that I wrote my daily haiku triptych about this post. It also includes a link back to this post. As the poem says, amazing! Interesting and thought provoking post as always, Marc. My own take on CCSVI is slightly different. Rather than get hung up on the issue of which is the cause and which the effect, a matter, as you rightly say, that will require a lot more research to establish, I chose to view the operation for the time being as offering potentially great symptomatic relief. Personally, my own operation, carried out by Prof. Simka's team of endovascular surgeons and interventional radiologists in Poland, has given me a huge improvement in quality of life. I appreciate that there are others, like yourself, for whom this was not possible. There is a site, ccsvi-tracking.com, which is working to compile data from MS patients who have had the operation on the improvement or otherwise experienced. While this is again not absolutely scientific, it should provide a better picture than word of mouth, both positive and negative. Regards thrombosis, I would point out that, as a group, MS patients are already at a relatively high risk of DVT, because of our lower mobility and tendency towards a sedentary lifestyle. Our pain and spasticity issues may also mask the signs, and lead to a failure in diagnosis. Life is not without risk, and we need to assess on an individual basis what we feel comfortable with. Thank you for this thoughtful and balanced post. I was dx-ed with MS in 2003 and was tested for CCSVI in June this year via a MRV and venogram (with internal ultrasound). Unfortunately, no stenosis was found. Needless to say I don't think everyone with MS has CCSVI, although you don't hear that much about that on the forums and research yet. I do think that more research has to be done as people get tested to understand their relationship. As disappointed as I am with the results of my CCSVI tests I don't regret having the test done. In fact, of all the treatments/medications I have tried in the last 7 years it was the least painful and most straight forward. I intend to follow the research - perhaps new data, research will warrant revisiting the issue at some point. Thank you for the your indepth and unbiased review. I appreciate your deep insight into this topic and more generally, your insight into human nature as we desperately struggle to keep control over our lives. In the nearly 20 years of my struggle with MS, I have looked everywhere for healing and I have made uncountable changes and adjustments in the way I live; but sadly, there is no magic bullet. Really great and informative post! Is iron build-up in the brain from blocked veins still being investigated as an MS factor? And if so, is chelation therapy still being investigated as a possible alternative to opening veins? I've searched the web but thought I'd ask so I'm not reinventing the wheel. Thanks! Thank you for this post. I have been researching CCSVI and find your remarks objective and straight forward. I will definitely be following your posts in the future! Wonderful post!!! What insight and more important, how you deliver. I have always said that it is not the subject, but how the subject is explained that makes it understandable and appreciated. What an analysys and summary of CCSVI! Amazing! You are the type of individual that would be a success in whatever you do! I admire you!! You are absolutely correct! I am one who went to Bulgaria..was immediately able to walk, get up, down, total bladder relief, etc. But after one week, a one month downhill roller coaster ride. People are still running overseas out of desperation. No one really considers after care. It's considered when it's too late...after. 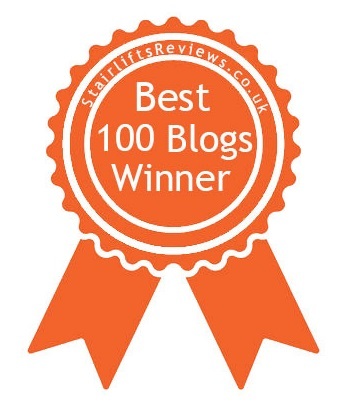 I truly believe that you have summed up hours and hours of reading CCSVI blogs and posts on the various sites. Had I relegated my time to the wisdom and writing of the Kamikaze, I could have saved much time, effort, cash (Bulgaria ran in total about $15K) and aggravation, the very least to say...wear and tear on my body. So sorry to hear about your right and left sides. Are you still able to wheel around the city? Have not seen a new video for a while. May the Almighty bless you, my friend, and all of those afflicted with this terrible disease, with a complete recovery. Four Star Post! Thanks for all the info. Wait to hear you on NPR Monday. Another sterling contribution to the CCSVI debate, thank You. I was tempted to nit-pick but won't cuz you got all the important points just right. We need to foster cooperation and inspire MS providers to be interested in helping with the research. While I agree with your recommendation to wait 6- 12 months--if you can, I am grateful for the pioneers who have gone before me. I decided to risk it, and join them when I found a university based program where my case would contribute to the answering of the many questions being asked. I have been seeking clinical trials since I was diagnosed. Always being rejected, for 8 years, because of being SPMS. This was the study where I was accepted and I couldn't be happier. I still need more work, but I am no longer thinking of a wheelchair in my near future. i threw away my cane in the desert of the middle east 3 weeks ago cuz it no longer is helpful. I can walk unassisted-- all day. Fortunately, I am in the group who has seen marked improvements. I'm a classic case of SPMS in zamboni's criteria. I'm 3 months out and have my life back. getting a bit better every day instead of a bit worse. I have 1 stent. may get another one next year, but I'm older than you and have more tolerance for risk. The pathology is variable in our local group, CCSVI-MSkteers, as are the results. No one has regrets for being treated, tho some of us were hoping for more. Some, like you, declined a stent, those problems are not fixed. And I'm happy to hear that the stent folks are thinking about where the technology might lead. I do think stents will be much better in a few years, and those of us who have the current ones will likely be stuck with an inferior product. for now, I'm one happy grandma who can be trusted to hold the babies again, and one motivated activist who is getting involved in promoting high level clinical research at Stanford and U of Maryland. Kind Regards to you and your many faithful followers. you have done a great service to us by writing this blog. exciting times ahead. 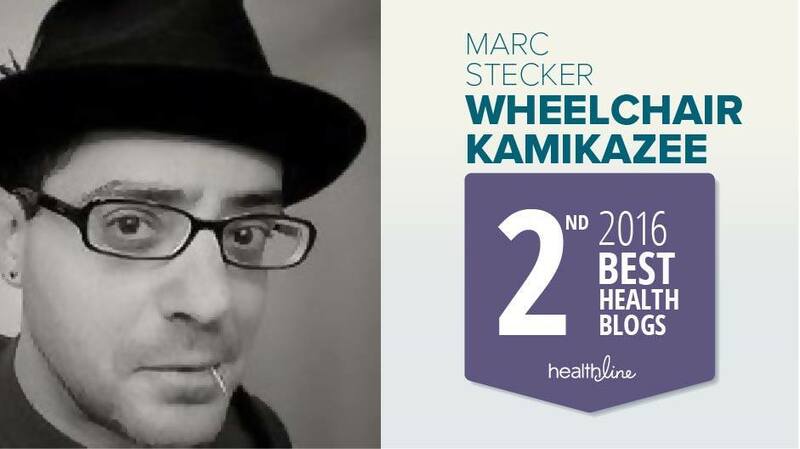 Marc, welcome back to the blogosphere. Thank you for this superbly written, thoughtful, well-researched piece. I hope everyone with questions about CCSVI will find it and read it. Marc, thank you as always for being such a crucial and objective resource. I agree CCSVI is going to be a piece of the puzzle, but not a cure all. I think MS is a wide spectrum of diseases, not a single entity. Because of that, I don't hold out much hope of a cure in our lifetime. The condition is just too complex. have you seen that new balance band everyone is raiving about? The company went from gross sales of 8,000 last year to 17 million this year. I guess it makes your balance superior. The U of Wisconsin just proved that by using a plain rubber band the results were exactly the same. CCSVI angio is the balance band to me. NPR's Morning Edition had no mention of CCSVI this morning. Do you know if this is still to be aired, or is this topic too potentially injurious to the drug industry for it to be mentioned on a US broadcast network? Hi! I am not aware of thrombosis being a major concern. To my knowledge only one patient in Canada has had this happen and it was not life threatning. Also restenosis, does occur. but certainly not at a rate of 50%. Doctors have shied away from doing the procedure because they have been threatened with losing their hospital privileges, not because they see failure. I don't think that people should go abroad to have this surgery, but that's mostly because I think we need to push to have it done at home. What galls me is that I can't even pay to have it done in Canada; let alone that the government is denying me my rights under the health act, to have it done as part of my universal healthcare. I appreciate your post yet at the same time some of your facts just don't stand up. this either. Yeah it's nice that you were interviewed but until you do some intensive research you should be careful what you say. You are simply adding to the confusion. If angioplasty works or doesn't work,I see no reason to to deny people who want to try this. The risks are slight and at home, it is a fairly inexpensive procedure. From my point of view there really isn't a whole lot of treatment out there that works or works well, so what have we got to lose? I say let's go for it! Cast doubt aside and Damn the torpedoes!! Taxingwoman-I have indeed done intensive research, which has included talking to multiple physicians, patients, and experts at the National Institutes of Health. Thrombosis is certainly an issue that is growing of growing concern, particularly in those patients that have received stents. Once a stent clots over, it is very difficult and sometimes impossible to remove that clot, thereby closing down that vein permanently. More and more patients are reporting this very problem with the stents implanted in the jugulars. This conclusion is not in question. A simple look at the patient accounts on the "ThisIsMS" CCSVI forums will illustrate this point beyond a doubt. As for the rates of restenosis, in Dr. Zamboni's original study he himself found restenosis happening at a rate of about 50% within 18 months after having the procedure. Again, the anecdotal reports coming out of patients who have visited Poland or Bulgaria, as well as many who have had the procedure done here in the states, back up that number. Since there have been no formal tracking studies done, putting a precise number on the chances of restenosis is difficult, but numerous patients are reporting this problem. You are correct in stating that most doctors are shying away from doing the procedure because of pressures from their administrators, but I never even infer that they're not doing the procedure because of risk of failure. Some have become reticent about using stents, though, because of the above stated reasons. Before you accuse me of not doing my research, you might want to conduct some of your own. I pride myself on the presenting the facts in a fair and balanced fashion, and I while I welcome dissenting opinions, those opinions should be based on fact. The smaller wheels make it easier to move the wheelchair in tight spaces, such as an apartment or crowded office. Marc, Thank you for another wonderful writing on CCSVI..and all in one place! It is very informative and very classy indeed..because you never throw insults on either side and that is what keeps us coming back to read your words more and more. I for one, appreciate the compassion you have for those who are for it, those who against it and those in the middle simply trying to get an honest, factual answer. When trying to decide on these CCSVI decisions, you need people who will help you feel comfortable just questioning your medical health and not have your head bit off because you have a different answer. 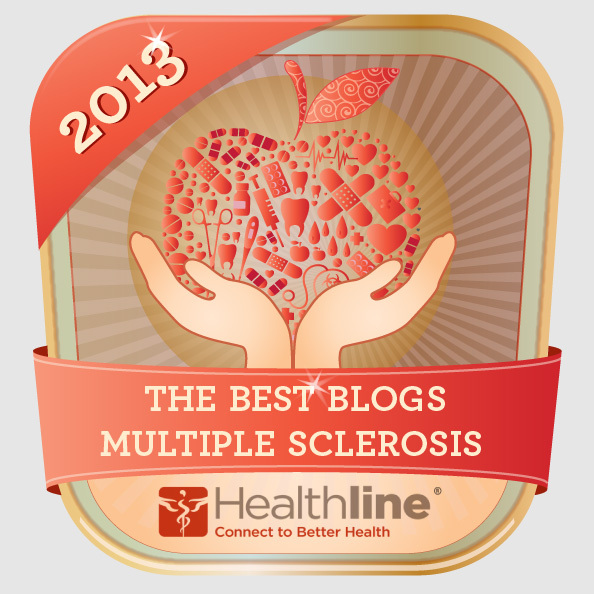 This was a factual article written for all of us with MS to help us understand it all better. I am very very sure that your articles on this subject has helped many many people and comforted many more. So, I look forward to more of your writings and thank you from the bottom of my heart for the work you do here. It is surely appreciated. I have always found your writing to be unbiased, factual, well researched, compassionate and extremely well written. As far as I am concerned you are the gold standard when it comes to all things MS. I am upset to read comments on your blog attacking your balanced and informative posts. I am even more upset to see you wasting your time defending your statements. Considering the magnitude of your readership and good that you do, your time and resources are too important to be squandered on such a futile effort. Perhaps it’s time to employ a filter on your blog that requires your approval of comments prior to publishing. I know you don’t want to do this but it is what it is. I went in 3 times. Ballooning, stents and clots. I am now out of my wheelchair able to care for myself. Taking that chance was worth it to me. I couldn't stand asking my family to tend to my every need. Everyday you remain untreated you are risking (as you recently experienced) more serious illnesses. I understand it's scarey....but, like you, I had gotten so far along in my disease I could not at least try to get better. Maybe I was lucky...all I know is instead of getting worse everyday, I'm getting better. "Much of the evidence presented at ECTRIMS was mixed . . . casting some doubt as to whether or not CCSVI is a cause, rather than an effect, of Multiple Sclerosis." Who cares whether it is cause or effect? If the set of symptoms that are fairly consistently reported to be fixed by venoplasty are real, why is the relationship between CCSVI and MS relevant? "If it turns out that the procedure is a cure, well, then MSers have hit the jackpot. 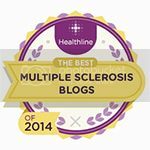 If liberation "only" results in a dramatic drop-off in the misery caused by the disease, it's still a huge win, and will forever change the way MS is researched and treated. 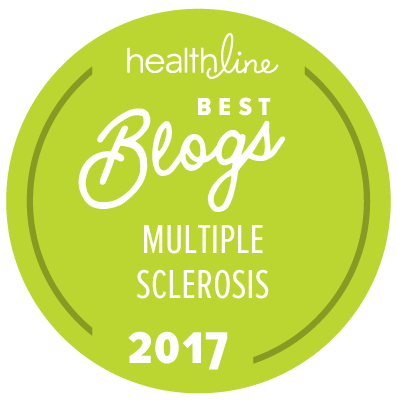 More importantly, hundreds of thousands of MS patients around the world will have a new and relatively straightforward conduit to relief." Maybe all these improvements are not related to MS as much as to impaired blood flow. Maybe there are two diseases: CCSVI and MS. I would also like to suggest that n counts. You cite studies without reference to how many people were examined. I think that is a very important consideration in evaluating scientific and medical literature. A study involving 10 people does not have the same weight as one involving 1,000. Simka's paper is based on 587 people. You quote the Beruit study which only involved a total of 42 patients and which to me seems to me to be saying that MS gets worse over time as evidence that because there **IS** a link between the duration of MS and venous problems, that CCSVI must be caused by MS. The only number reported in the abstract with considerable statistical significance (p<0.0001) was that 92% of the patients with RRMS over more than 10 years show signs of what they term, extracranial venous stenosis (EVS). Of course, we are talking about 12 out of 13 people in the study so it is hard to give it a lot of credibility, in spite of the statistical significance just as we need a lot more evidence than Dr. Zamboni's 65 patients provides about the benefits of venoplasty. Good for the goose is good for the gander. The cited Italian study found few people with CIS met the ultrasound criteria and none showed problems upon examination by selective venography, yet the Buffalo report (much bigger n by around a factor of 10) found that 38.1% of people with CIS met the criteria for CCSVI using TCD. Either Simka and Zivadinov are right, and their n suggests to me a greater likelihood of that being true, or Beruit and Italy are right with their smaller n. The answer is not somewhere in the middle. Finally, my last post, promise! Also, I hope that my comments are received as they are intended, simply to raise questions, not to suggest or say that you are wrong in your view. The only thing I know with certainty is that there is whole lot about MS and CCSVI that I don't know. "We are also seeing **the very troubling trend of restenosis** (veins closing back up) several weeks or months after balloon venoplasty, and also an increasing amount of accounts of problems with stents implanted in patients' jugular veins, primarily in the form of stent thrombosis (clotting), and stented veins stenosing in areas above or below the location of stent implantation." " . . . very troubling trend of restenosis . . . " Really? Are you losing sleep over this? I'm not. From day one, Dr. Zamboni reported a restenosis rate of 47% and advised against using stents. Not sure how that translates into a "very troubling trend." And we are seeing progress in the form of Dr. Sinan's approach which has reduced the restenosis rate from Zamboni's original 47% to 2%. Dr. Zamboni said at the AAN session that he has reduced the rate to 29%, though provided no further explanation of this. Seems like that is moving in the right direction, fast. I think the IR's and vascular surgeons will figure this out and for those who benefit, it will still be cheaper by a factor of 3 to have venoplasty done every year than to pay for DMDs if that's what it takes. WHY ARE YOU FIGHTING THIS CCSVI? IT IS THE ANSWER. IT MAKES MORE SENSE THAN ALL THESE MEDS AND IT WORKS FOR EVERYONE AND ITS SAFE. I WENT FROM NOT BEING ABLE TO WIGGLE MY TOES TO NOW BEING ABLE TO MOVE MY WHOLE FOOT. Reading your site and studying the Bible has given me hope like I haven't had in years. I'm a 51 year old man in a nursing home with progressive ms. I've had it 20 years and have use of only one arm. I retired in december of 2004 as a senior field engineer at AT&T. I get around on an electric scooter. In spite of this demon driven disease I still manage to help the workers and residents here with their TVs, computers, and other electronics. I'm working to reach a level of understanding to be healed through faith alone. Here's some free mp3 lessons for that. No matter what, I'm going to be rid of the devil and this awful life stealng disease. Hope you are too ! I have a question about why everyone thinks if you have the procedure you could die? I have had to have it done twice now. Not once was I worried about dying. In fact if death was common I wouldn't of done it with two young children. I had it done first in June (my azygous and right jugular were ballooned) and then on November 1st (Monday). I knew when my vein/s had closed back up. I got tired and couldn't stop sleeping and felt horrible all over again. It turns out my azygous and only my azygous had closed back up. I looked at the venogram and it was narrowed right by my heart. Which can't be good for anyone. With having heart disease be very common in my family I am worried about the relationship. I know this is a work in progress and that's why I think studies are so important and I am proud to be a part of them. My neuro told me also that people are dying from this procedure and from what I have seen and heard there is still only one death and that was due to another medical condtion and blood thinners. From what I understand some people are dying from not having this procedure like in Barb Farrell's case. She was close to death and is now home after having a feeding tube and unable to sit up or talk. Her life has turned around for the better. I do like your fair and well balanced view, but some of the comments make it sound like it's going to put you at a huge risk for having this done when there is some, but people are not dying from having this done or it would be stopped. Am I correct? I do understand that stents are causing some problems and clots are forming, but are those people should be taking plavix and getting their blood work done. I know The Hubbard Foundation is collecting data from all over the US. I just simply would like you to address the statement about people dying because of this procedure. I don't like the scare tactics that are being used in some cases and it's making people very scared of the thought of angioplasty. I hope you are feeling better and I hope that they can figure out your case. You really do have a fair and open mind about CCSVI so thank you! I'd like to thank all who have commented on this post, including those that have left negative comments. I value intelligent dissent, as nothing can be learned by speaking into an echo chamber. It's my policy to never delete any post as long as it's not abusive to me or any of the other commenters on this site. However, it would be nice if some of the folks that don't agree with what I've written which state facts to back up their claims of my inaccuracies. Again, that we and intelligent give-and-take can be accomplished, simply writing that I'm "confused" doesn't really accomplish much of anything. I'd like to address each and every comment individually, however because of the sheer volume of them, it's not really practical. Please know that I do value every comment on every post in this blog. I'll now take a stab at answering all questions and criticisms that have been posed in the various comments above. According to the Buffalo numbers, at least, it does appear the approximately 25% of the healthy population does have the venous anomalies we've come to call CCSVI. Medically, it makes much more sense for people to be experiencing improvements in the long term, rather than immediately. It would take the damage CNS many months to start true recovery. I'm honestly not sure what to make of the reports of immediate improvements in regards to foot drop etc. Thanks for your kind words. Sue-your point about MS folks being high risk of DVT is well taken. Thanks. Sue W-I personally am not sold on the idea that iron deposition plays a major part in the CCSVI story. We see iron deposition in many neurologic diseases. The fact of the matter is that when nerve cells and oligodendrocyte die, they release iron. Every living cell in the body contains iron, and when those cells meet their demise, that iron is left behind. It very well could be that the iron being seen in MS brains is the result of nerve damage and death, and not because of it. To my mind, the disruption of blood flow alone caused by venous blockages could be responsible, over the course of decades, for the damage found in PwMS. Carol-I'm very happy that you found relief, and agree that the stent manufacturers do need to design stents specifically to address these issues. Thanks for your contribution. Edward-seems that we are in agreement on the issue of cause and effect. Intellectually, of course, I'd love to get that question sorted out. On a practical level, though, it's much more important to pinpoint with accuracy the relative effectiveness of the procedure on a variety of MS symptoms. The CCSVI Tracking Project has potential, but any survey that relies on self-reported data is notoriously unreliable. The problem with the Simka study is that, according to most reports, he's not doing much follow-up on the patients he treats. Therefore, it's hard to be confident in the liability of the numbers he states. Smaller numbers in the Beirut and Italian studies to lead to a greater statistical variance, but their methodology seems sound. The Beirut paper was voted the best paper presented at this year's ECTRIMS, after all. Zivadinov and Simka are not in agreement. Dr. Z's research is pointing away from their being a causal relationship between CCSVI and MS. His conclusions fall more in line with those of the Beirut and Italian papers. I was very concerned about misstating his conclusions, and through my contacts at the BNAC had Dr. Z vet the paragraphs I wrote regarding his research. He signed off on my summarization. No worries about how your comments are being received, I appreciate your intelligent questions and push back on some of my conclusions. Restenosis is a troubling trend for number of reasons. First of all, people are spending lots of money getting this procedure done, only to find that the results were only temporary, and they'll need to undergo the procedure again to recover whatever benefit they first experience. Not many people can afford multiple attempts at liberation. Furthermore, the procedure entails a not insignificant dose of radiation, not something you'd want to subject yourself to multiple times a year. Marc, great information, as usual. Is there any indication that for people whose disease activity is non existent (no inflammatory in the recent past) but still incur progression due to nerve degeneration, get any benefit from the Liberation Treatment. Clearly the mechanism for nerve repair is not the same for reducing/ eliminating attacks or the immediate effects thereof. You hit the jackpot here. MS is nothing, but a collection of symptoms. No one, nowhere, never, said that it has to be one disease. After all, we still don't really know causes. As CCSVI vs conventional neuroscience. I live in Poland and meds are so ridiculously expensive I could never afford them anyway. My heart goes out those with MS.
We are beginning to find out more about these auto immune diseases - the whole field of immunology is less than 50 years old. Let's focus on the basic research needed first. It is like sharpening the knife - feels like you are wasting time when not cutting, but in the long run much more helpful. Consider the biggest setback to research in the last fifty years: Ronald Reagan cut the NIH budget in 1980 and stopped a whole lot of research and labs were shut down never to reopen. It took twenty years to recover. We find it easy to give oil companies and "businesses" all these tax breaks, give the wealthy a tax cut, all the while we have the researchers cut down to the bone with less than 10% of the grants funded. Bright kids with Ph.Ds in biology get $30,000 a year as post docs after 10 years of college. Wall street gets 50% of the Harvard graduates - why are these bright people not working on MS? Let's focus on doubling the basic research on immunology and molecular biology - and lets hope we get a breakthrough soon. The more we invest in research - the more likely we are to getting a cure soon. Remember, this is a lot like a lottery: just one breakthrough can be the CURE for MS. Lets have a Tea Party to raise the NIH budget. good luck with your ccsvi it was not the answer for me. I went against my doctor's advice and have it done. I should have listened, we are dreamers and sheep! gidday, what are your thoughts on CCSVI treatment paired with stem cell treatment?